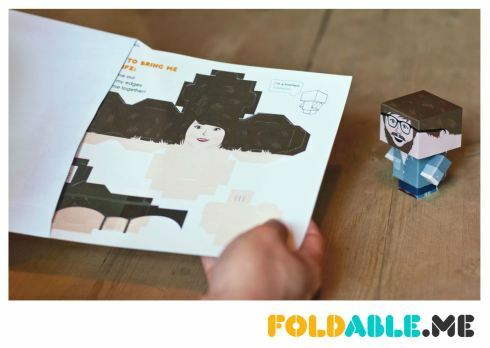 Design & Construct A Boxy Papery Pal With Foldable.Me! 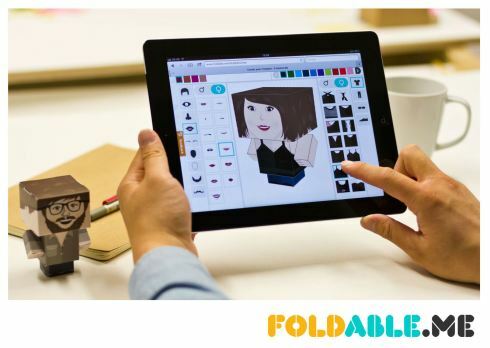 Foldable.Me’s highly customizable miniature characters are the result of an incredibly successful Kickstarter campaign that resulted in simple and fun to make your very own “mini me,” without having to spend billions on cloning technology. 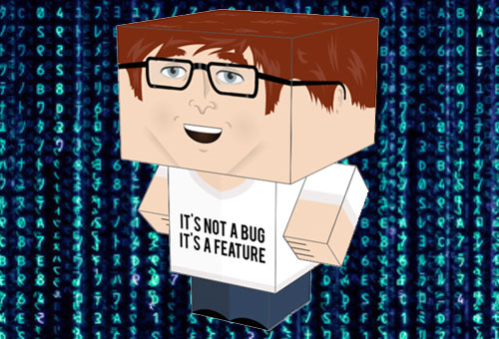 Creating a Foldable is an easy two-part process: Just open the Foldable creation tool on their website, choose either a boy or girl and then get to work fitting your one of a kind likeness onto your blocky buddy. Just imagine the website’s Foldable interface as any good videogame avatar making menu and you’ll be slapping on the best nose, shirt style and wacky moustache in no time! Once you’ve put the finishing touches on the Foldable, simply place him or her in your basket and the little person will be on their way home in no time. Although fashioning a Foldable is a bunch of fun on its own, I’m sure that it’s even better in the second stage when you finally get to put your character together! Since I’d get attached to the little guy, I would be afraid to mess him up into a Frankenstein sort of creature, that is if Foldables weren’t so easy to assemble. No scissors, glue or any other tools needed, just pop the shiny cardboard bits out, fold them over and insert tabs as needed to put your new best friend together. Piece of origami cake! 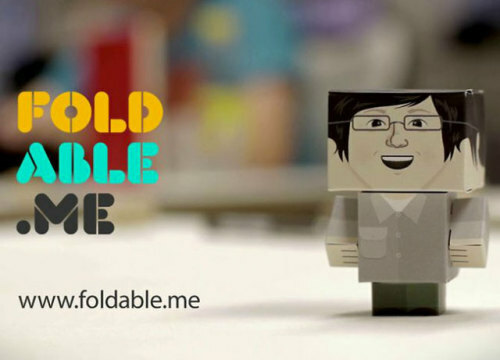 Foldable.Me is a fantastic Kickstarter success story that has pulled backers, customers and fans from all over the planet to build cute little versions of themselves, and should serve as an inspiration for inventors who are on the fence about getting their idea “out there.” The people of Earth didn’t know that they needed mobile phones, cloud storage or Foldables until recently too, so do us all a favor and give your invention a shot- You never know how big it’ll get! No Valentine This Year? Will A Robo Vacuum Do?